The first bit of tonight’s episode is really good, at least. It’s an irresistible premise: In the wake of Bill’s surrender at the conclusion of “The Pyramid At The End Of The World,” the Monks have insinuated themselves into Earth’s history, fooling humanity into thinking these invaders have been our species’ benevolent guardians since we first crawled out of the sea. In that task, they have the help of the Doctor, who has emerged as chief propagandist for the new regime. In reality, people have only endured six months of this dystopia, but half a year is still plenty long for people to suffer, to lose hope, even to turn on one another and become willing puppets of the Monks. Placing Bill at the center of that story instantly recalls episodes like “The Last Of The Time Lords” and “Turn Left,” which similarly forced companions to endure hellish journeys through broken alternate worlds. What strength Bill can’t find in herself she instead locates in two people: Her created memory of the mother she never knew, and the Doctor she trusts to come save her and the world. The latter hope is brutally dashed when she and Nardole launch their rescue effort, only to discover a Doctor who isn’t pretending to have joined the Monks—you know, until it all turns out to be another clever Doctor trick. Before getting to that though, it’s worth recognizing just how fascinating this prospect of a heel turn for the Doctor is. His argument to Bill is brilliantly constructed, as a lot of the individual aspects of it are true—history warns against fascism and fundamentalism, humanity keeps making the same mistakes over and over, feel free to mix in present-day applicability as you feel appropriate—yet the overall message is so utterly, horribly wrong. Bill is absolutely right when she says the Doctor’s entire point through his many lives has been to champion freedom and self-determination, making it inconceivable he would ever actually join the Monks and support their conquest. To make this the actual, unaltered Doctor would be to violate the core of the character, so the episode has two options: Either the Doctor is faking it, or his mind has been altered by the Monk’s. Maybe in a way that brings his worst, most cowardly impulses to the forefront, so what we’re seeing is at least a version of the Doctor, or maybe outright control by the Monks. But those are the choices. And “The Lie Of The Land” makes the wrong choice. And I know, it’s not really my place as a critic to make that call. I’m not about to rewrite the episode—my throwing around ideas a couple sentences ago was maybe too much already. Put it like this: Having the Doctor reveal it was all a trick to test Bill wasn’t working for the Monks lets a ton of air out of the story, as we immediately switch from Bill and Nardole facing the prospect of saving the world without the Doctor to the Doctor reestablished as damn close to all-knowing and all-powerful, so brilliant are his stratagems. This might honestly be the danger of having an actor as brilliant as Peter Capaldi in the main role. His huge range and preference for underplaying scenes has let the writers put the character in unfamiliar situations, whether it’s his apparent disregard for humanity’s free will here or his naïve but well-intentioned compassion for Davros in “The Witch’s Familiar.” Those moments open up new horizons for the Doctor, but in both cases the stories ultimately chickened out, not being prepared to explore the real ramifications of the main character showing such weakness. 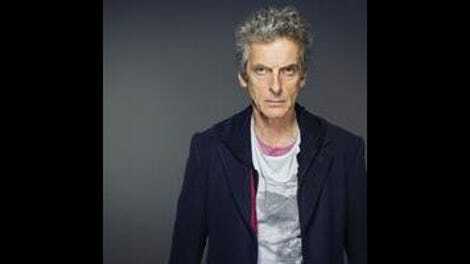 Capaldi can play all those moments brilliantly, but the show isn’t willing to commit as hard as he is. There’s another cost to how this episode gets itself out of the seemingly impossible predicament with the traitorous Doctor: Bill pulls a gun and shoots a man she cares about deeply, someone she gave up everything to save and made promise he would save the world. Shouldn’t that have some consequences, psychologically speaking? The episode does a bit of narrative sleight of hand here, with Bill instantly transferring all the anger she feels at being so brutally deceived into a quick bit of comedic fury directed at Nardole, but that just elides the trauma that really ought to come from shooting a close friend. I won’t harp on this, because I’ll admit it’s only after watching the episode (and discussing it with fellow AV Clubber Allison Shoemaker for our podcast) that I realized just how big a beat the episode skips here. But it’s symptomatic of the danger of doing a fake-out regeneration—which I don’t want to say was just done to provide a shocking moment for the trailers, but it kind of feels like it—where Doctor Who favors big, memorable moments over the emotional realities that should underpin them. I realize I’ve spent a lot of time on the opening section of the episode, in part because my take on most of the non-Missy sections of the rest of the episode is, “Eh, it’s just sort of there.” The Monks themselves turn out to be just about the weakest, most feckless baddies in Doctor Who history, as they went to all the trouble of simulating all human history to be prepared for every possibility and then turned and ran the second things got a little tough? Sure, part of the point is that there are actually barely any Monks on Earth, so the power of coercion is all they really have going for them, but this still plays as such an anticlimax for monsters who were given two episodes’ buildup. Neither the Doctor nor Bill properly talks to a Monk at any point in tonight’s episode! That feels like an oversight. As for all the stuff with the soldiers and the assault on the pyramid, it’s all basically fine, the kind of thing that won’t sink a good episode but also won’t elevate a mediocre one. Turning to the climax, in which Bill’s false memory of her mother proving instrumental to toppling the Monks… yeah, I’m guessing a lot of people are going to hate that one. It’s close to a canonical example of the much-despised “power of love” ending that crops up a lot in Steven Moffat’s Doctor Who—while that label can be overused, it fits here. I’m a little more okay with it, if only because there’s some character work going on here. After all, the start of the episode set up Bill’s need to believe the Doctor would save the day, so it’s a good counterpoint to have Bill take matters into her own hands and risk what she believes to be certain death. That the memory of her mother saves her could even fit into all this, as that memory was previously set up as her other major source of strength amid the occupation, but that aspect remains undercooked. Mostly, credit has to go to Pearl Mackie here and throughout this episode, as her performance brings out emotional nuance and reality the underlying story struggles to find. So instead tonight’s episode plays primarily as a showcase of three performances. There’s Pearl Mackie, who comes damn close to making the whole thing work in spite of herself. There’s Peter Capaldi, who is as great as ever but whose talents are sometimes misused in service of ideas the story won’t commit to. And then there’s Michelle Gomez, who is reliably great as Missy. While her efforts to turn good can’t possibly last, she makes a good point when noting she could easily have escaped the Vault decades ago if she weren’t sincerely trying to discover a better part of herself. The episode is too busy with other things to build too much on this, but she presents a fascinating contrast between her version of goodness—a utilitarian one, built on solving the big problem even if a few lives get lost along the way—and what she calls the Doctor’s narcissistic belief that every life matters and he can save all of them. And while it sits outside the rest of the episode, the epilogue in which she experiences the guilt of every life she has taken is a good reminder of the show’s willingness to take chances and explore new areas. It’s just a shame that the 45 minutes before that don’t demonstrate the same ambition, especially after two weeks of buildup. This isn’t quite “The Pilot” or “Smile,” which were episodes of moderate ambition elevated by great performances. This is closer to a straight-up misfire, but there are enough intriguing ideas and moments of goodness to elevate this above the tedious likes of an “In The Forest Of The Night” or a “Sleep No More.” It’s not a good sign when that’s the standard I’m breaking out to judge an episode, but here we are. For what it’s worth, I did like how the Doctor played off his fake regeneration, even asking Nardole if it was a touch too much. I think there’s a way they could have made that scene work if the apparent stakes beforehand hadn’t been quite so high. So, here are the episodes Toby Whithouse has written for Doctor Who: “School Reunion,” “The Vampires Of Venice,” “The God Complex,” “A Town Called Mercy,” “Under The Lake”/“Before The Flood,” and now this. On balance, is he a good Doctor Who writer? 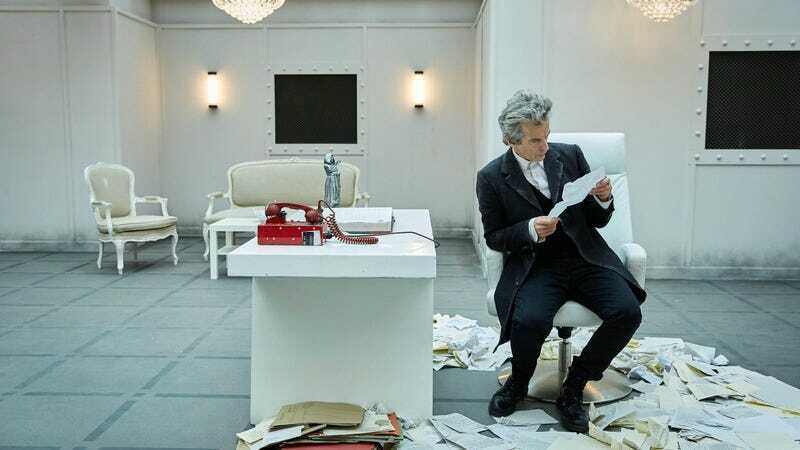 I’d say there’s one all-time classic in there with “The God Complex,” three solid entries, and then two fairly underwhelming entries during the Capaldi era. He’s probably still running ahead of, say, Mark Gatiss, who has written some real stinkers in his time (and is also doing next week’s, so fingers crossed! ), but it’s a more mixed bag than I would have once thought. I’m sure some of my more fastidious readers (and I say that with great respect) will have thoughts on the logical incongruities of the ending, as six months of suffering and terror are wiped away with nobody remembering anything. Beyond the question of how six months of lost time is meant to work, surely all the people who died during the Monks’ occupation are still dead, to say nothing of those who survived the forced labor camps. That all feels distinctly messy. Still, there was one unimpeachably lovely moment tonight, as Bill asked the Doctor why he puts up with humanity, and he said the presence of one person like her in seven billion makes all the others worth putting up with. Capaldi and Mackie beautifully captured the warmth of that scene, and all their work in the episodes up that point earned that moment.